Typically, professional grills are the hottest. If you are cooking a thick cut of meat, higher heat will cook and sear faster than a regular grill. Heat is measured by BTU (British Thermal Unit). 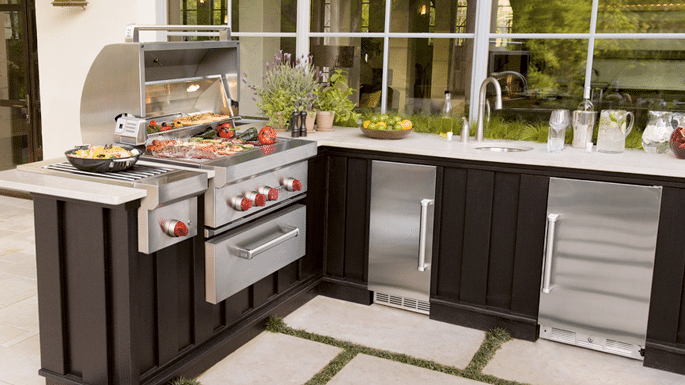 We will look at the hottest grills and a few distinctive features. We also included some bonus videos just for fun(these guys are reps, not actors). Lynx has cast brass burners (virtually indestructible) which retain heat and in combination with the ceramic briquettes allows more even heat distribution. Their sear burner has the most flexibility with temperatures that can be adjusted from 285 degrees up to almost 1,000 degrees. Wolf has stainless steel tubular burners with ceramic briquettes for heat distribution. Their sear burner is 25K BTU's which is one of the most powerful we carry. Many manufacturers use a single zone for searing, where DCS uses a full surface searing. By strategically placing the ported stainless steel burners, ceramic rods and the heavy gauge stainless steel burner box, DCS has even searing temperatures across the entire grill surface. The rods also reduce flare ups as the grease does not hit the burners directly. Their main burners are all 304 Grade stainless steel and are rated at a high of 25,000 BTU per burner. They have direct vertical ports to deliver the heat and they have a cross fire ignition system. This consistent and direct heat allows for high heat, 900 degrees for searing of meats and a low of 200 degrees for vegetables. The gas burners below can be used to just ignite the wood or charcoal and then shut off or can be left on to create high temperature cooking over the entire grilling surface. Having this option eliminates the need for a sear burner. 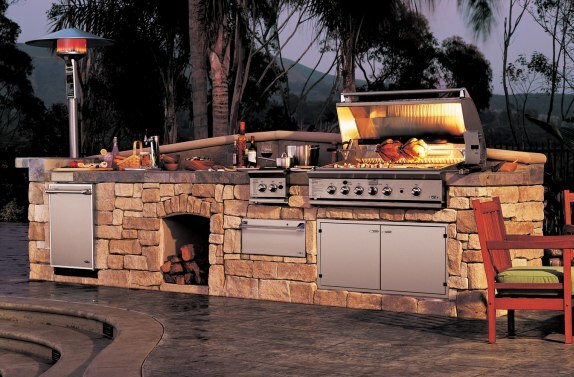 Alfresco has chromium (weather resistant steel) stainless steel burners that are 27,500 BTU’s with ceramic briquettes that gives you even heat distribution. The sear burner is also 27,500 BTU's and is capable of reaching 1,500 degrees in only 4 minutes. Both the stainless steel and sear burners are the most powerful of any grill we carry and Alfresco comes with a 2-year full warranty compared to 1 year on the other brands. Read more about the Weber Summit series. As you see, most of the grills have similar BTU outputs. You may also want to consider other factors. I really like the cast brass of the Lynx as a solid reliable burner, especially with New England weather. 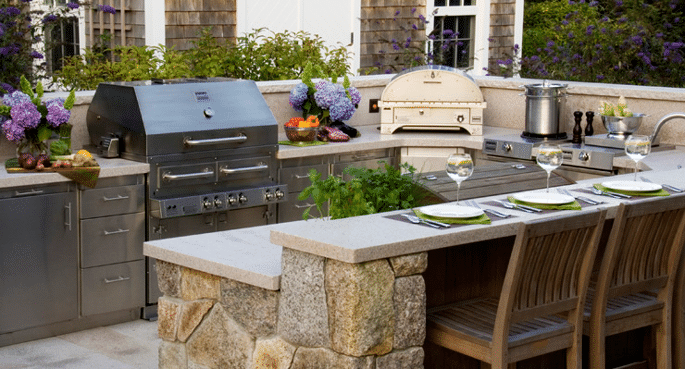 Alfresco has the best sear of up to 1,500 degrees and is also a solid grill. From a construction standpoint, Kalamazoo is the best grill sold without question. If you love to grill, the hybrid drawer of charcoal, wood and gas (for speed) will produce the most flavorful BBQ. Get the Yale BBQ Grill Guide with BTU outputs of every major grill as well as inside buying tips. Well over 90,000 people have downloaded a Yale Guide.